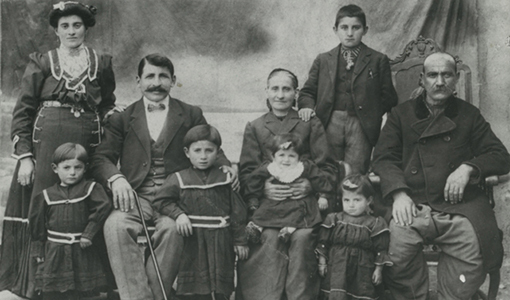 April 24, 1915, was a day like any other in Turkish Armenia. Then night fell, and hundreds of Armenian intellectuals in the Ottoman capital of Constantinople were rousted from their sleep, tortured and killed. The slaughter continued for months across the Ottoman Empire. Without warning, the government ordered Armenian men to abandon their shops, desert their plows in the fields and leave their beds without dressing and executed them. Then it was the women’s turn. Their husbands gone, girlhood friends Varter Nazarian and Elmas Sarajian and their nine children were among the hundreds of thousands taken from their homes and forced to march through the desert to relocation centers in Syria and Mesopotamia. By some estimates, more than half a million men, women and children perished in death marches across that summer. Elmas and Varter lost all of their children. 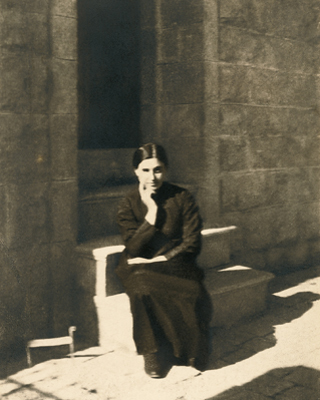 The event that has been called “the murder of a nation”—an estimated 1.5 million Armenians died—was like an earthquake that reverberated across time, says Sarajian’s granddaughter, the playwright Joyce Van Dyke. The story of the two women’s friendship, deportation and survival is the inspiration for Van Dyke’s latest work, Deported, A Dream Play, which played to sold-out houses at the Modern Theater in Boston earlier this year and is scheduled to be performed as part of Salon Mashup: Armenian Perspectives of Displacement and Regeneration in East London’s Shoreditch Town Hall from January 31 to February 3, 2013. Van Dyke knew little of her grandmother’s deportation story until she met Martin Deranian, Varter’s son from her second marriage in America. “They would never speak of it, you see,” says Deranian, who taught dental history at Tufts School of Dental Medicine for 40 years and has a practice in Worcester, Mass. Deranian introduced himself to Van Dyke when he saw another of her plays, a love story titled A Girl’s War, in Boston in 2003. Some 50 years before, he had uncovered the story of his mother and her grandmother. “I knew of [Van Dyke], but we had never met, so I introduced myself to her in the theater lobby and said I had some interesting material on her grandmother, and she should write a play about it,” Deranian says. Personal histories often remain hidden, and then surface in sudden and surprising ways. Such was the case with the story of Deranian’s mother and Elmas, her longtime friend. “I remember playing with [Van Dyke’s] mother when I was about 5 years old, can you imagine that? And now we’re working on this play together,” Deranian says. Sharing coffee one sunny morning at Tufts Dental School, the horrors endured in Armenia nearly a century ago seemed but a breath away as Van Dyke and Deranian talked about their lifelong struggle to come to terms with their past. Varter and Elmas left for America on the same ship after spending five years in Aleppo, Syria, where they helped other Armenian survivors: Elmas worked in an orphanage and Varter for Near East Relief. 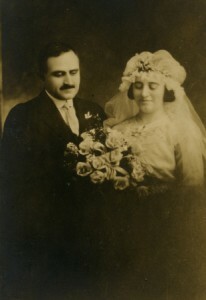 They continued to share their lives in America; Elmas settled in Providence R.I., and Varter in Worcester, where she eventually married Mardiros Deranian. They had one child, Martin. In 1929, when Martin Deranian was 7 years old, Varter died after a long illness. As he grew older, Deranian was determined to learn about his mother’s life before she came to America. In the early 1960s, he discovered that Elmas, then living in Fresno, Calif., was the only one still alive who had been with his mother on the march. He also learned that the Rev. 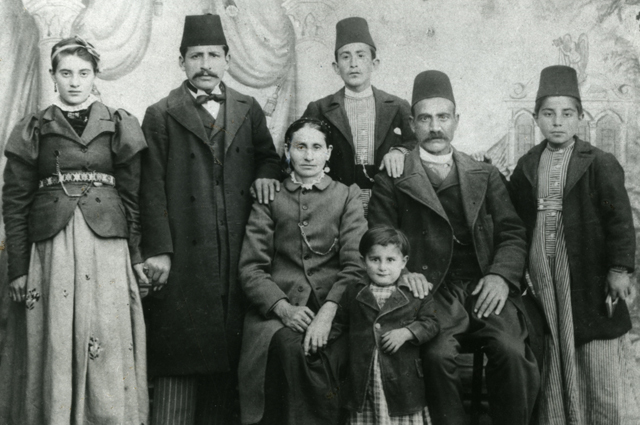 Ephraim K. Jernazian, who met his mother in Syria, lived in Los Angeles. “I contacted him and asked if he could interview Elmas and record her first-hand account,” Deranian recalls. “She told him what she had told no one else, because he was there and he had helped her friend survive.” Jernazian is the author of Judgment unto Truth: Witnessing the Armenian Genocide (1990), published after his death in 1971. Elmas died in her sleep in 1977. Van Dyke’s play spans a century, chronicling the events that shaped the lives of Elmas and Varter and their descendants. Horror and hope are evoked through dreams and characters that appear and disappear from the stage. Horrific events—when Varter’s children were left in a dry well to die of heat and dehydration—are retold on stage, as are the children’s cries for their mother that “haunted her all the days and nights of her life,” Deranian says. But the play rises up and beyond despair to reveal a story of rebirth that began the day Varter and Elmas boarded the ship to America. Van Dyke opens the play with Varter and Elmas hiding in an attic as a hurricane rages outside. From this dark, enclosed place, the stage walls literally expand with each act, eventually revealing an open garden brimming with life, much like the one Elmas tended in Fresno, and finally to a dream world of the future. Gail Bambrick, a senior writer in Tufts’ Office of Publications, can be reached at gail.bambrick@tufts.edu.